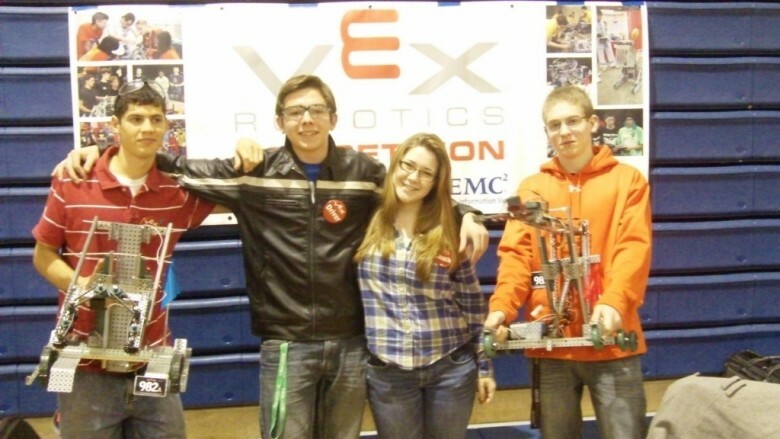 Two teams from the Sanford Regional Technical Center participated in the Southern Maine VEX Tournament Saturday December 4th at the University of Southern Maine. The team of Abby Mallar, Skyler Gallant and Pat Coady finished second in the tournament and won the Design Award. Isaac Perreault also competed and made it to the semi-finals. The students are in the Pre-Engineering/Robotics Program.